This delightful Personalised Twinkle Girls Pink Gift Set – Babygrow & Bib, will make a lovely personalised gift for a new born baby girl. 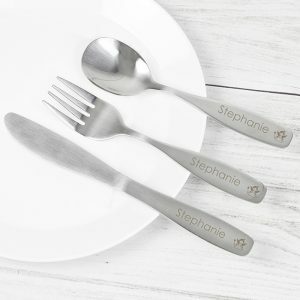 Personalise all the items with her name using 12 characters. 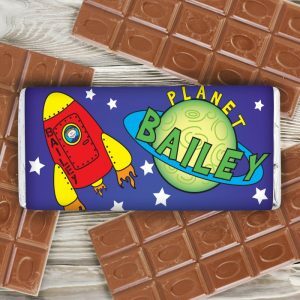 The name will be printed on the presentation box, baby grow and bib. 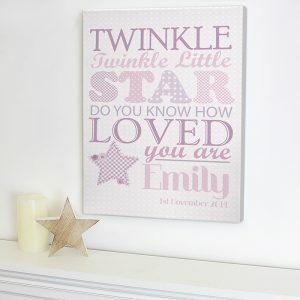 ”Twinkle Twinkle little star do you know how loved you are” is fixed text, and the chosen name will be printed below this wording. 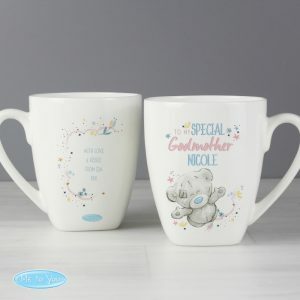 We use different pink fonts on the items to make it really eye catching, because a personalised gift really does make a memorable keepsake. Due to the font type used please refrain from using all capitals in your personalised message name. Many thanks for your cooperation. Presentation box measures: 22 cm x 22 cm x 9 cm and is in a lovely shade of pink with a gingham ribbon to seal. The box also has a magnet close fitted. The baby grow measures: 32.5 x 29 x 0.5 cm and is suitable for 0-3 months.